Hope Africa University is an African school. It was conceived by African church leaders, is governed and accredited by Africans, is administered by Africans, and more than 95 percent of its faculty is African. As a Christian liberal arts institution it seeks to train young Africans with appropriate professional skills and core values to be salt and light in their society. The motto of HAU is “Facing African Realities.” In this, the school recognizes that many of the students come from poverty with little or no family support. Costs must be kept low and scholarships based on need are important. Unstable political and economic conditions mean that the students tend to be older than typical students at a US university. Classes and curricula must accommodate non-sequential attendance as students work as well as study. All the students speak several languages but since they come from more than eight countries proficiency in only one of two languages – French or English – can be expected. Therefore HAU teaches classes in both languages and expects all students to be able to succeed in courses taught in either language. Introductory courses are taught to prepare each student to for a bi-lingual learning environment. For similar reasons there is a wide range of religious and ethnic backgrounds represented in the student body. HAU is distinctly Christian but receives students from any background and asks only that they attend scheduled chapel services and meet a general standard of conduct and practice that fits its overall goal. Individual students come with widely ranging preparation for college level work. The university offers remedial and preparatory classes for students who have gaps in their pre-college studies. Modern history for much of Africa is a repeating cycle of success and failure of one nation after another due to lack of acceptance of ethnic differences, political and economic knowledge, shared core values and respect for law. Hope Africa University recognizes these problems and includes training in personal responsibility, acceptance of ethnic and cultural differences, political science and Judeo-Christian ethics. East African nations have young populations; about 40 percent of the people are under the age of fifteen. Elementary schooling has largely been private in many countries but is now becoming public and funded by national governments. The result is a heavy and growing demand for higher education. HAU is working to meet this growth. 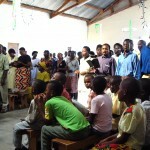 Since opening in Burundi in February 2004 HAU has grown from fewer than 200 students to more than 4,000 by 2011. Degree programs have been expanded and added to meet the needs of the countries served. HAU currently offers over 30 bachelors, masters, and doctorate degrees ranging from medical and psychological studies to theology, information technologies, and civil engineering. Hope Africa University is affiliated with the Free Methodist Church, though it is non-denominational in its admissions and hiring policies. Currently, there are more than fifty (50) church organizations represented in the student body and faculty. Hope Africa University seeks to send into African society Christian scholars and professionals who will be able to effectively apply economic, political, and social principles for the well being of African people! In particular, the Frank Ogden School of Medicine is a vital part of the University’s mission, and in addition to the school of nursing, trains students in everything from gynecology to pediatrics and vaccination, sending out well-equipped doctors and nurses to minister where good medicine is much needed. 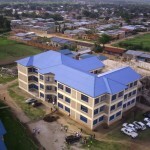 Friends of Hope Africa University is the North America organization pledged to support the development of Hope Africa University through prayer, finance and communication about the school and its ministry.